In the spirit of talking about priceless gifts, I wanted to pass along a hidden gem I found. A friend of mine reached out the other day saying a mutual friend (and client of mine) generously gifted us a few new spa treatments they were offering. The day I turn down any opportunity to be pampered, especially when it’s a gift, is the day you know Something has possessed me! Betsy Abrams is the proud owner, and I’ve had the pleasure of doing several readings for her over the years. I’ve watched her Divine creation come together over the past few years, as she courageously followed her guidance to create s sacred healing space for those of us in need. Betsy, along with her Team Spirit, have gifted us with Five Wellbeing Studio & Spa. What I didn’t know until my visit was the meaning behind the name...Five represents the 5 elements - Earth, Water, Metal, Air, and Wood. And you get to pick the element that most calls out to you in that moment; it’s whatever your being needs for balance and healing, thus leaving you with a sense of Wellbeing! And, whatever essential oil formulation you choose is incorporated into any and every treatment you do! Because one of my love languages is physical touch, one of my favorite things in life is a good massage. And I’ve explored a lot of them, from a traditional Swedish all the way to my very first Hemp Oil (CBD) massage at Five Wellbeing. At the beginning and end of every treatment, rose quartz crystals and Tibetan singing bowls were used to help restore balance and calm to your system on every level. The Quartz Rewind facial was one of the most unique facials I’ve ever had, mainly because I was lying on a bed of healing, heated tiny quartz beads, like a bed of sand, and could literally feel the tingling sensation of the crystals from head to toe...balancing out the positive and negative ions in my body and aura. Talk about heaven! The Acupressure Foot Renewal massage was incredibly grounding and blissful. This treatment was done while I was lying in the dry float bed, which is a heated water bed where you sink down into a cocoon like healing experience. What I would do to have that bed in my house!! And I barely scratched the surface... Betsy informed me of all the other unique offerings such as the salt room, sound healing room, and yoga studio equipped with vibrational sound healing floors! I will be sure to return to check them out! This spa really was a perfect mind-body-spirit experience, with a special energy that left me feeling lighter and more grounded. That in and of itself is priceless! 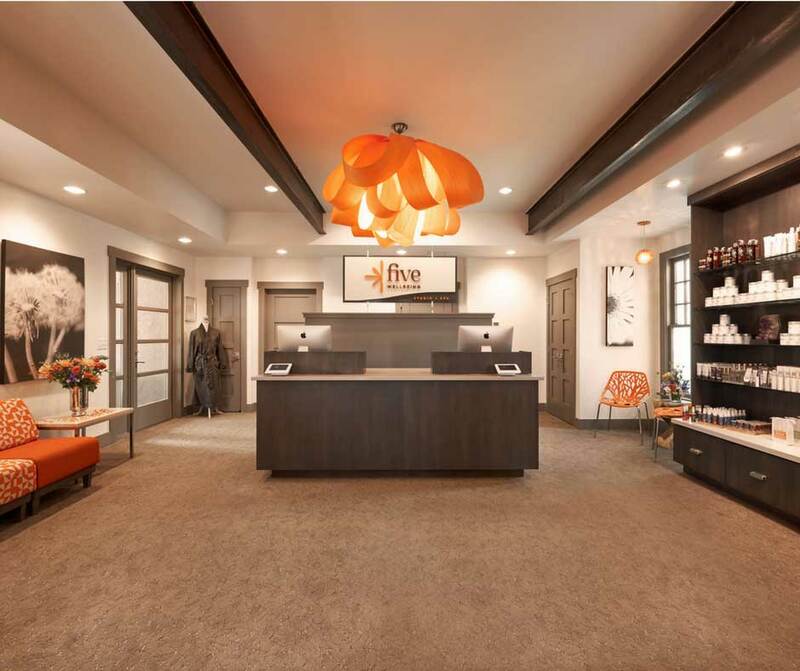 If you’re looking for something special to gift to a loved one or yourself, I highly recommend Five Wellbeing Spa! You can find out more information and book your treatments by visiting their website. PS: Not only did Betsy not ask for me to refer her Spa, but this blog came as a complete surprise to her. I was guided to share, and it felt in complete alignment with my previous guidance to encourage priceless gifts (and amazing experiences like this) for the holidays.